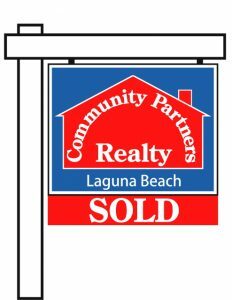 There is no direct access from Crescent Bay Point Park to Crescent Bay Beach BUT it’s easy to get there. 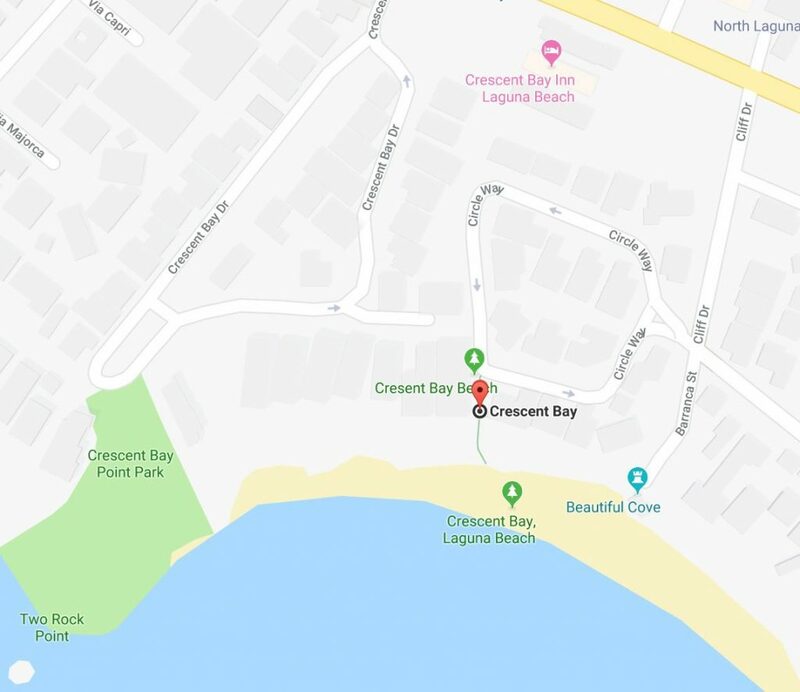 On the east side of the park, there is a street also called Crescent Bay Drive that takes you to Circle Way. These are walking directions as part of this is a walkway. Circle Way takes you to the north entrance of Crescent Bay Beach. 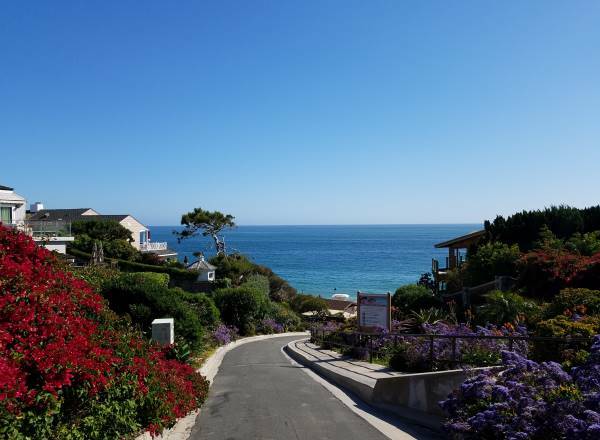 You can also access the south end of Crescent Bay Beach at the intersection of Circle Way and Barranca Street, where Cliff Drive dead ends into Barranca. See this map for more clarification. Direction link below.